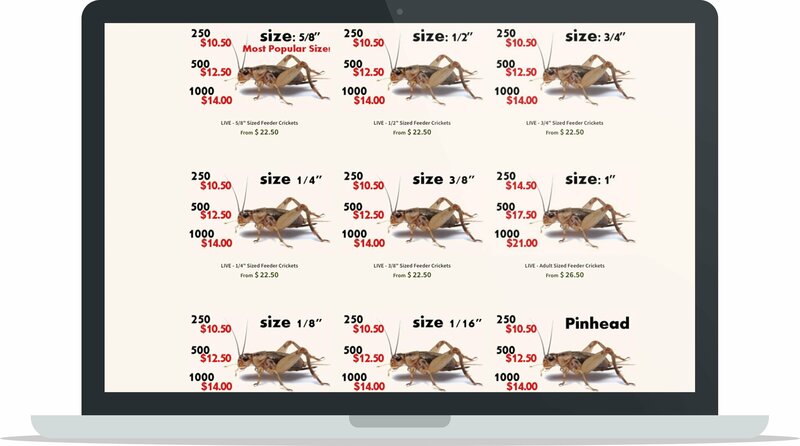 In this case study learn what it’s like to operate a live products business selling and shipping feeder crickets on demand. The Critter Depot noticed a gap in the market that traditional pet stores couldn’t fill and after persistently searching for a supplier who would provide the exact service they were looking for, they eventually found their ideal match. This case study is a perfect example that it’s entirely possible to have a business providing you with supplemental income while still keeping a full time job and that repeat customers can be exactly what it takes to give a business life. 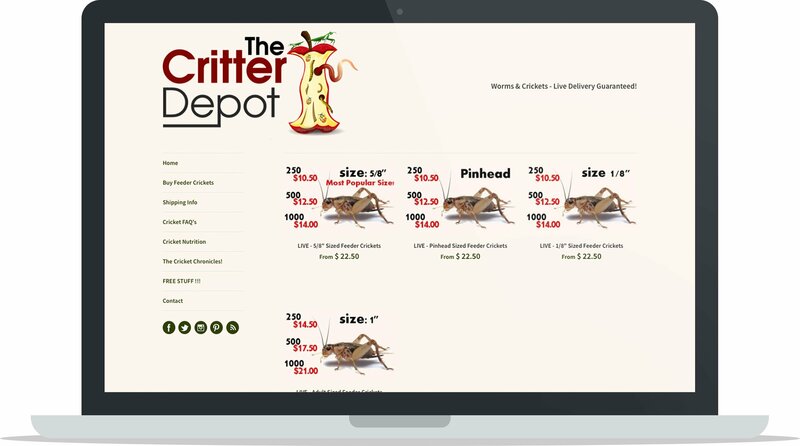 Read on to learn more about The Critter Depot and their live cricket dropshipping business. How did you know you wanted to sell live insects as a product? Where did you get this product idea? I worked for an ecommerce company for 4 years and while I was there I wore many hats and learned a lot of about drop shipping, ecommerce platforms, merchants, SEO, PPC and niche products. I no longer work there but after seeing how easy the concept was I really wanted to find something I could do to supplement my income, so I spent a few weeks searching for a niche product and came across live products. After researching more deeply, live crickets looked like they would be an excellent fit, and they have been so far. How did you know there was demand for live crickets online? Did you test demand prior to launching, if so, how? The only testing I did was Google Trends. The ecommerce company I worked for did some live product sales and since I knew how many live product sales they made per year I could use that as a benchmark and find something that had comparable, or greater, traffic in Google trends. Live crickets can be found in most pet supply stores so how have you managed to differentiate yourself from this competition? 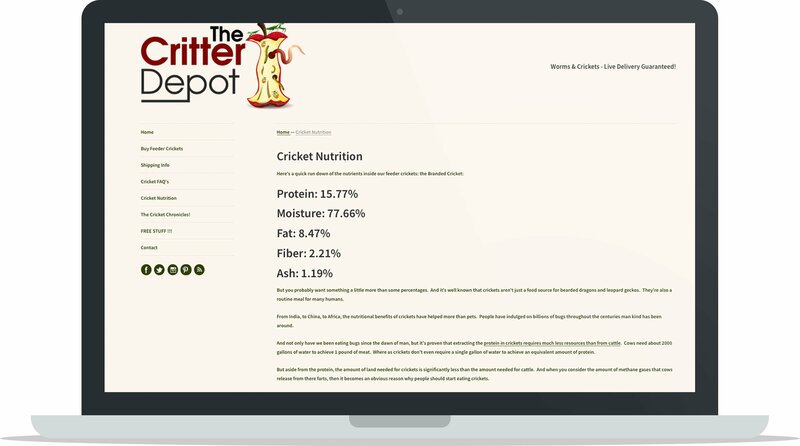 How have you made customers want to purchase live crickets online from you? Most pet stores sell crickets by the dozen. My minimum sale is 250. So my customer is going to have a setup that can house a bulk supply of crickets, but also, a dozen crickets won’t feed bearded dragons or leopard geckos for very long. So most customers like getting them shipped in bulk because it’s more convenient, and it’s also less expensive buying them in bulk. What challenges have you faced sourcing crickets and how have you overcome it? How did you find the right dropshipper to work with? The challenge was finding a supplier that was willing to ship with USPS. From what I’ve learned USPS is typically the most cost effective shipping supplier but they don’t offer tracking information like Fedex or UPS (they offer delivery confirmation numbers – which only tells you when the item is delivered). So there’s a trade off, and most suppliers like to use UPS and Fedex because of their guaranteed delivery dates for the live products. It took me a while to find the right supplier, I had contacted about 20 cricket suppliers until I found the right one. Luckily, I knew exactly what I was looking for and how much I wanted to pay, which made the initial conversation much easier and direct. Did you start off launching to an audience that you already had or did you build your audience as you went? I built the audience as I went. I used some social media, but I would promote my site in reptile forums which slowly built some repeat customers. What’s the best tool you use to stay organized with your business? This is bad, but my best tool is my Gmail. Which ecommerce platform do you choose to sell on and why? Shopify. A few years ago A Better Lemonade Stand made a post on Reddit discussing his ecommerce store called Finch Goods. When I saw that post, that’s when I realized I needed to kick-start my ecommerce side hustle. At the time, he was employed with Shopify and he offered a discount if they used his link in an email. I think I still have that link too. That’s why I use Shopify. How do you take your product photos? Do you take them yourself or are they provided to you via your dropshipper? I bought some stock photo pictures of crickets and reptiles eating crickets. This is one of the reasons why I like drop shipping crickets: there’s not a lot of a variation. So there’s no hassle keeping track of all the different products. Have you incurred any shipping hassles, rules or regulations due to having a live insect as a product? Oh god yes. I need to have a “live delivery guarantee” and if the crickets perish during the transit then I have to ship out a free order, or give a refund, so navigating through the weather cycles across the United States has definitely been the most challenging. But that’s why I like working with my supplier so much, he helps me determine when it is a good time to ship, and a bad time. It’s been a very good relationship so far. Which marketing channels do you find the most lucrative (your own social media, working with influencers, email marketing, paid advertising, etc.)? How did you make your first 10 sales? Grinding with blog writing and self-promotion. How did you make your first 100 sales? Grinding with blog writing, self-promotion, and then some Adwords focused on specific territories. What’s your business’ biggest failure to date? My biggest failure is my inability to give this venture more attention. My cricket supplier also grows super worms, fly larvae, mealworms, phoenix worms and other live reptile feed. I’ve been telling myself for months to sit down, get those products added and do some promotion but currently, between my full time job (which I thoroughly enjoy), my 2 daughters, my pregnant wife, my other blog, my need to sell our current house and then my need to buy a new house, I’ve been slightly distracted. But I’m trying to sell my other blog to free up some time so I can give The Critter Depot some much needed love. What’s your business’ biggest success to date? Having multiple repeat customers. From all the jobs I’ve ever had every owner and boss has always emphasized the importance of customer service because it leads to repeat customers. You need repeat customers. What advice would you give to entrepreneurs just starting their first business? Don’t expect instant success. Be willing to learn, and invest your time. You won’t be able to buy your way to instant fortune. What’s the best advice you’ve been given in regards to business? What is one goal you would like to hit with your business 1 year from now? Top organic rankings for specific keywords.